The Block apartments are on the market, and, as the contestants spend the next few weeks completing the final rooms and putting on the finishing touches on these incredible spaces, prospective buyers are deciding which one they want. 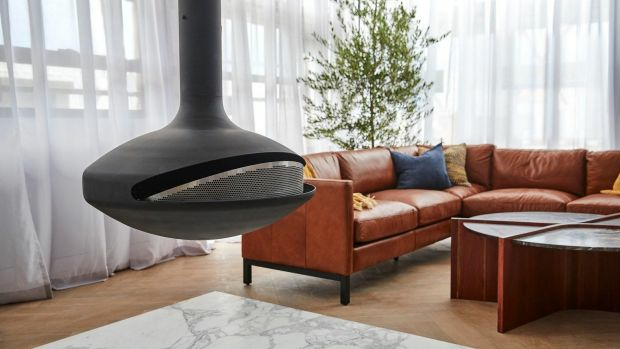 If you’ve spent the past few weeks watching Block contestants transform The Gatwick from a rundown boarding house into an incredible boutique apartment block, you may be wondering if it’s possible to get your hands on one. But, the apartments aren’t reserved for just celebrities, rich-listers and wealthy investors. Anyone is able to buy one, providing they stump up between $2.2 million and $2.75 million. When are The Block apartments open for inspection? Apartments on The Block are available to inspect now, but the popularity of the show means, unlike a typical property, you won’t be able to simply stroll through them on a Saturday morning. “Instead of going to a regular open-for-inspection you might see scheduled, you need to do it privately,” says Hockingstuart’s Sam Inan, who is selling Jess and Norm’s apartment. If you’re serious about buying one of the apartments, this is the time you’ll want to hit that call button on the listing. “As long as buyers inquire with the agent, they’ve got a very good chance of booking in to see the property,” Inan says. The other way to inspect the apartments is through a buyer’s advocate. Well-known advocates such as Frank Valentic, Greville Pabst and Nicole Jacobs, who make up the buyers’ jury, are known to arrange private viewings for their clients. But, despite many Block apartments being bought by buyers’ advocates, you don’t need to use one. If you just want to have a stickybeak inside, you’ve still got a chance, even if you have no intention of buying. On Sunday, October 7, The Block apartments will be open to the public. Huge crowds are expected, and, unlike a typical open home, security will be tight. Do you need to register to buy an apartment on The Block? Prospective buyers will need to request a selling contract from the agent for each property. Buyers are encouraged and expected to undertake their own due diligence and have the contract reviewed by a solicitor. 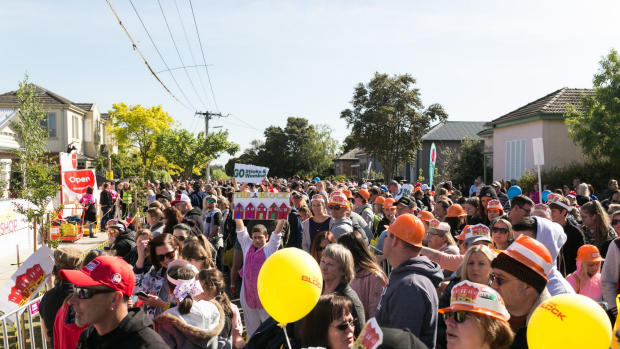 Auctions on The Block aren’t just for show, and operate under the same rules as any in Victoria. “It’s the same process as a public auction, the only difference is that it’s actually filmed,” says Hockingstuart’s Emily Adams, selling agent for Kerrie and Spence’s apartment. Prospective buyers cast their bids, and providing they have reached the reserve, the highest bidder when the hammer falls is the purchaser and is committed to buying the property. Anyone trying to buy a Block apartment will need to register to bid on the day or have their buyer’s agent attend the auction for them. Can you buy an apartment on The Block before the auction? If you’re tempted to try to secure an apartment on The Block with a pre-auction offer, think again. “Unlike most properties where you would have the opportunity to secure it beforehand, there is no alternative other than coming to the auction or having someone bid for you,” Inan says. In previous years, The Block apartments attracted interest from wealthy investors and celebrities, as well as owner-occupiers. Some of the properties ended up as short-term rentals. The attractive depreciation schedules are the result of the significant improvements the building gets. Along with expensive appliances and luxury fittings, the apartments also come with a full suite of designer furnishings and homewares. If these items are used to generate rental income, investors can claim the amount that improvements and assets have declined in value each year as a tax deduction. In many cases, depreciation can be the difference between a property being positively and negatively geared, significantly reducing an investor’s tax bill.